The National Center for Fathering’s research started in the 1980s. 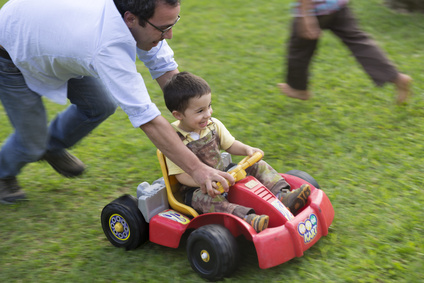 Dr. Ken Canfield, founder of the National Center for Fathering, began reviewing all the relevant information he could as it relates to the roles and functions of fathers—how men become better fathers. This literature review was exhaustive. It included works on fatherhood and family life dating back beyond 200 B.C., including: Greek and Egyptian literature; 1,190-plus biblical references to fathers, fathering, and fatherlessness; and classic works by Plutarch, Xenophon, and noted authors from the 16th and 17th Centuries, to name a few. He added to his understanding with a review of more than 4,000 journal articles, dissertations, abstracts, and books that have been generated about fathering since 1950. Then, he turned his attention toward collecting his own data. The National Center for Fathering, along with a team of academic scholars and family data experts, came up with 27 different “factors,” or facets of fatherhood, which were consistently identified as important by the various sources NCF had studied. The team developed a questionnaire to measure men’s fathering habits in all 27 areas, and it was administered to 2,066 dads. After statistical analysis of that first sampling, the 27 fathering factors were re-organized and reduced to 12. That led to a second, refined questionnaire, which was then used to survey another test group of 1,000 dads. This research, along with consultation with others who worked with fathers, resulted in the design of the Personal Fathering Profile (PFP) for the National Center for Fathering (NCF). The PFP is a 138-item feedback tool that gives fathers a graphic picture of 21 different areas of their fathering, which includes the 12 factors: four broad fathering dimensions, the 12 more specific factors, and five areas of fathering satisfaction. The development of the PFP took place with the consultation of a very experienced and respected test design specialist, and the reliability scales are very high. Moving forward, NCF used the PFP to collect six more samples of data (a total of 3,044 more fathers) in order to increase diversity within the overall data base and strengthen the reliability of the PFP. Reports on the statistical data have been published in several social science journals. Through the years, the PFP has helped tens of thousands of men learn about their own strengths and areas for improvement as fathers, while also strengthening NCF’s growing database. NCF has been able to dissect this wealth of fathering data in different ways and discover ground-breaking insights about fathering. 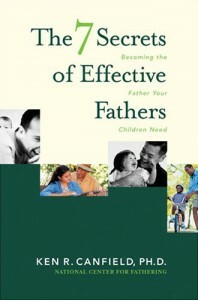 One notable example was the research behind Ken’s first book, The 7 Secrets of Effective Fathers, which compared the data of over 5,000 “average” dads in NCF’s database to the scores of 300 men who were identified by others as highly effective fathers. The “secrets” are the seven areas where greatest differences showed up between the scores of the highly effective dads and those of the “average” dads. NCF has also commissioned national polls in partnership with the Gallup organization to survey America on fathering in general as well as fathers’ involvement in their children’s education. Moving forward, we will continue to use research to help us inspire and equip men to be the fathers their children need. Please help us continue our research by donating today.